Decorating the Christmas tree is probably my favorite part of Christmas! I love looking through the ornaments we’ve collected over the years and reminiscing about memories of past Christmases. Handmade ornaments are my favorite; we have some that my brother and I made when we were young, and we even have some that my parents made when they were young! So every year I make a few new handmade ornaments, because in my opinion, they are the best! 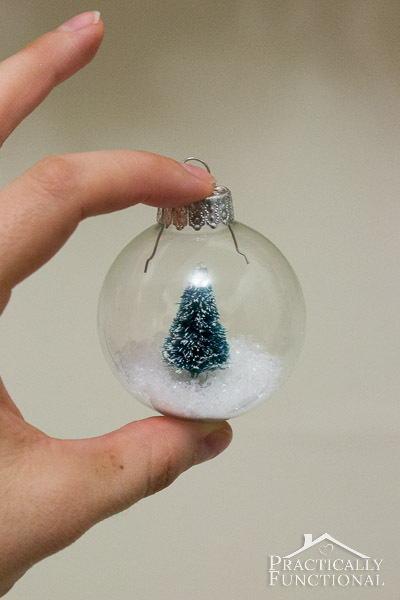 This miniature snowy tree snow globe is probably the simplest DIY Christmas ornament I’ve ever made! It only took me about five minutes, and I just love how it turned out! 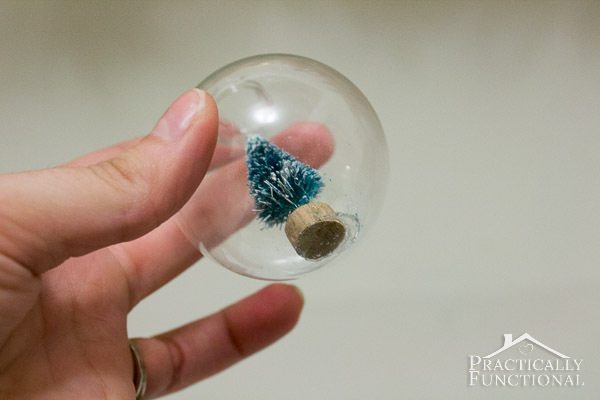 Start by taking the top off of a glass ball ornament. 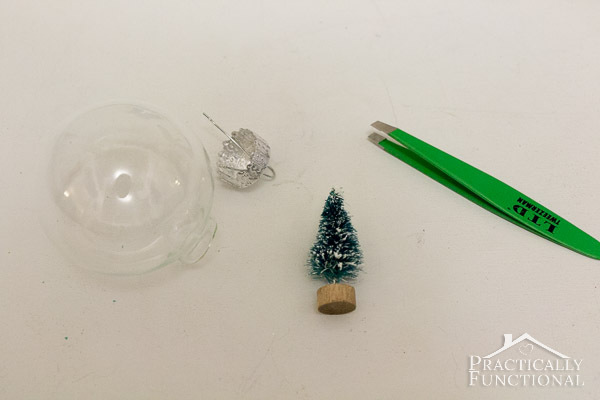 Grab a mini tree and make sure the base of it will fit in the opening of the ornament. 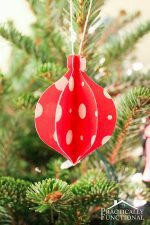 Place a small dab of hot glue on the bottom of the base of the tree, put the tree into the ornament, and press the base of the tree onto the bottom of the ornament. 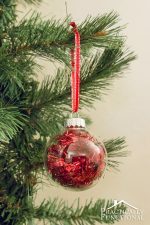 If you’re using a small glass ball ornament like I was, you’ll need to grab the top of the tree with tweezers and use those to guide the tree into the ornament, because your fingers won’t fit! 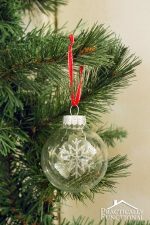 Once the hot glue is dry (after about 30 seconds), pour a teaspoon or two of fake snow into the ornament to cover up the base of the tree. 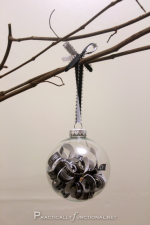 Put the top back on the ornament, tie a ribbon through it, and it’s ready to hang on your Christmas tree! 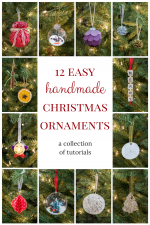 Have you ever made your own Christmas ornaments before? Yes, macaroni garlands totally count! 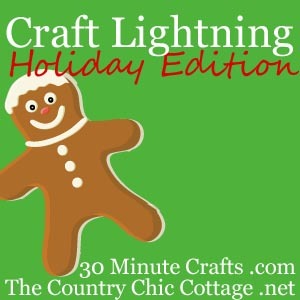 This ornament is part of the Holiday Edition of Craft Lightning! 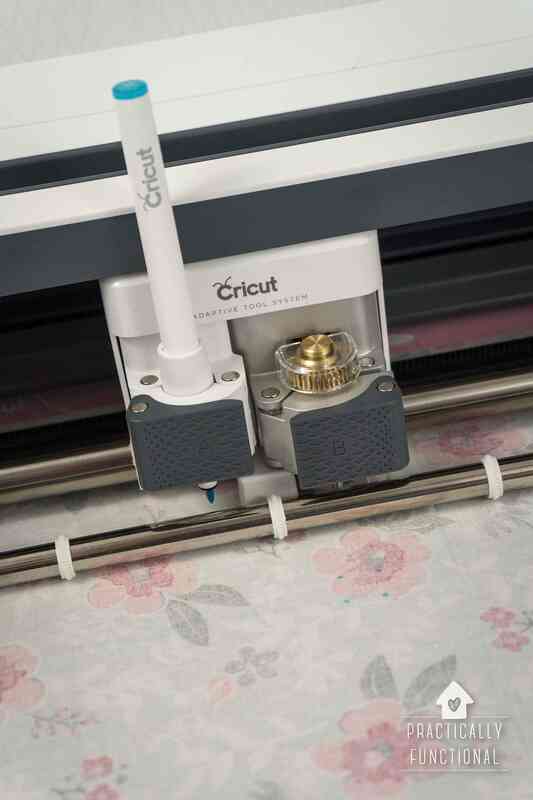 If you’re looking for quick and easy holiday ideas, check out all the other Craft Lightning projects this week by clicking the button below. Every single DIY project is perfect for the holidays, and takes less than 15 minutes to make! This is such a neat and quick idea. I think I will use this idea when our family gets together for Thanksgiving. My daughter and I plan to work on some decorations. We have many DIY ornaments. Many I still have on my tree and many, I have distributed to my children for their trees. That is such a cute idea!!! Love making DIY ornaments! super cute, jessi! great job! This looks so sweet with the little tree inside. It might take a little practice, but I think I can do it! Just saw this on “just us four” link party and had to stop by. I went to Wal-Mart to and grabbed 10 of these for crafts for my kids. This is a really cute idea!! 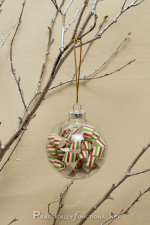 This is seriously my favourite glass ball ornament tutorial! So soft and pretty! Happy Thanksgiving Jessi!! 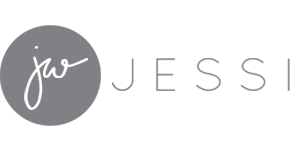 Just wanted to let you know this will be featured tonight on the blog – thanks so much for linking up! I love this! Where did you find the tree’s? I have looked around and can not find them. Thanks! Thanks Alisha, I found these trees at Michaels! What a cute idea! The little snow globe ornament looks beautiful! Thanks so much Mel, I really appreciate it!